“I AM standing on the threshold of another trembling world. May God have mercy on my soul”. These words marked the beginning of IRA volunteer Bobby Sands’ hunger strike on March 1st 1981. Directed by West Belfast award-winning documentarian Brendan J Byrne, Bobby Sands: 66 Days tells the story of the dramatic events of the hunger strikes which caught the world’s attention. Sands was 27-years-old when he died after 66 days of refusing food in a campaign with his comrades to be recognised as political prisoners. The Twinbrook man became one of nine other IRA and INLA prisoners in the H-Blocks who lost their lives as a result during that traumatic year. Byrne uses a trove of archive, testimonials and Sands’ own personal diaries to tell the story of the turbulent 66 days in a diary-like format combined with footage to portray a timeline of the ongoing events that dominated the era year-by-year. Sands’ prison diary each day is at the centre of the documentary but brings a fresh and welcome insight into the iconic figure whose non-violent and emotive story became a defining moment in 20th century Irish history. The documentary does an excellent job in detailing the period of history for many viewers not already steeped in modern Irish history. For Byrne, he wanted to understand who Bobby Sands was as a person and to dismiss the well-known and widely accepted view from republicans that he was a martyr. Described as a “cinematic portrayal of the Irish republican martyr’s epic 66-day hunger strike”, perhaps the power of self-inflicted suffering as being more effective in serving the cause is the most notable message of the documentary. Byrne delivers an analysis in to many themes of the era including the history of hunger-striking in the world and the effects on the body as each day passes in Sands’ strike, with a medical expert providing comment. Former IRA volunteers and friends of Sands describe his life from his early childhood days growing up in Rathcoole to his election as MP just weeks before his death. The documentary boasts a wealth of archival footage, various comtemporaries, historians, re-enactment and animated sequences and a range of music to add to the gripping historical period of such a violent and bloody time in the history of the north of Ireland. 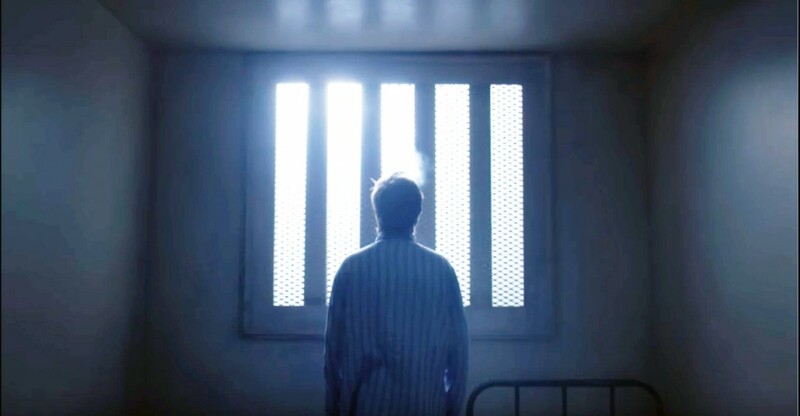 The fact is that Sands’ legacy is enhanced further by ‘66 Days’ with an impressive and understanding cinematic examination of the subject of Bobby Sands’ hunger strike in what became the most tense and defining moments of the conflict. Bobby Sands: 66 Days premiered at the Hot Docs Film Festival in May and will be released in Irish cinemas later this summer and will be shown on BBC NI television in August.